BEDFORD, Mass., Oct. 2, 2017 /PRNewswire/ — iRobot Corp. (NASDAQ: IRBT), a leader in consumer robots, today announced that it has closed the previously announced acquisition of Robopolis SAS (Robopolis), based in Lyon, France. The preliminary purchase price of $141 million, is subject to normal purchase price adjustments and is expected to be finalized no later than Q1 2018. Europe is a key strategic region for iRobot and provides an excellent opportunity for further growth. As announced on July 25, 2017, the acquisition will enable iRobot to capitalize on the current market momentum, driving accelerated adoption of robotic floor cleaners. The EMEA region comprised approximately 25% of iRobot’s 2016 consumer revenue. Robopolis represented nearly half of iRobot’s EMEA revenues in 2016. With the acquisition, iRobot will further extend its overseas control of market activities, including consistent global messaging, that will help drive greater adoption of robotic vacuum cleaners and affirm iRobot’s segment leadership. Led from the London, UK office, iRobot will maintain operations in Germany, Spain, France, Belgium, Austria, the Netherlands, and Portugal. 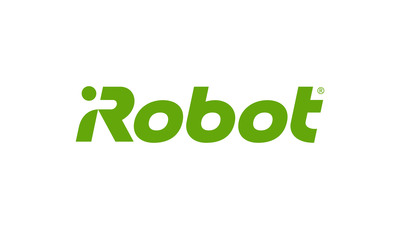 The existing Robopolis management team will join iRobot. Jean-Jacques Blanc, currently iRobot’s vice president and general manager, Overseas, will lead the combined operations reporting to iRobot’s chief operating officer Christian Cerda. Denis Guyennot, the CEO of Robopolis, was instrumental in establishing iRobot as the leading consumer robotics brand in Western Europe. Denis will remain with iRobot as a consultant to ensure a successful integration of Robopolis and iRobot. Additional financial details will be provided as part of iRobot’s earnings call on October 25, 2017.
iRobot, the leading global consumer robot company, designs and builds robots that empower people to do more both inside and outside of the home. iRobot created the home robot cleaning category with the introduction of its Roomba® Vacuuming Robot in 2002. Today, iRobot is a global enterprise that has sold more than 20 million robots worldwide. iRobot’s product line, including the Roomba and the Braava™ family of mopping robots, feature proprietary technologies and advanced concepts in cleaning, mapping and navigation. iRobot’s engineers are building an ecosystem of robots and data to enable the smart home. For more information about iRobot, please visit www.irobot.com. Certain statements made in this press release that are not based on historical information are forward-looking statements which are made pursuant to the safe harbor provisions of the Private Securities Litigation Reform Act of 1995. This press release contains express or implied forward-looking statements relating to iRobot Corporation’s expectations concerning future growth in Europe and management’s plans, objectives and strategies. These statements are neither promises nor guarantees, but are subject to a variety of risks and uncertainties, many of which are beyond our control, which could cause actual results to differ materially from those contemplated in these forward-looking statements. Existing and prospective investors are cautioned not to place undue reliance on these forward-looking statements, which speak only as of the date hereof. iRobot undertakes no obligation to update or revise the information contained in this press release, whether as a result of new information, future events or circumstances or otherwise. For additional disclosure regarding these and other risks faced by iRobot, see the disclosure contained in our public filings with the Securities and Exchange Commission including, without limitation, our most recent Annual Report on Form 10-K.
Dieser Eintrag wurde veröffentlicht in English, General und verschlagwortet mit irobot, Robopolis von Sebastian Trella. Permanenter Link zum Eintrag.